Order cake online in Patna or send flowers to Patna from Wish A Cupcake and get free home delivery to Patna. Looking for a delicious cake in Patna, or want to send flowers to Patna? Wish A Cupcake offers premium quality cakes and flowers delivered to your doorstep. Order a freshly baked cake or flowers for delivery across Patna. Our bakery products now come in eggless cake options. Our home delivery services make it easier than ever for you to order a cake online, or buy flowers online. 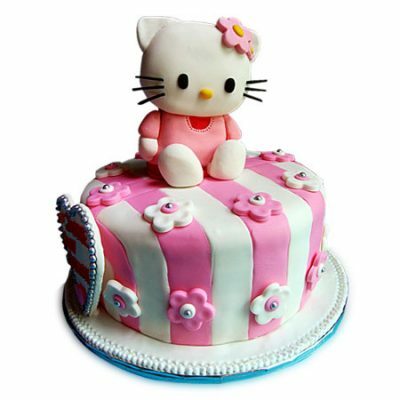 Wish A Cupcake offers one of the best and top quality cakes in Patna and flowers in Patna. Our attention is towards excellence and freshness of cakes and flowers. Daily discounts are available on our collection of cakes and flowers meant for all occasions and events. You’ll be able to purchase your cake online for delivery in Patna, and also send flowers online in Patna. Place your order now for delivery anywhere in Patna! Same day cake delivery. Send cakes to Patna. Buy and send a cake to Patna with Wish A Cupcake. We offer free home delivery of cakes in Patna. Feel free to order a birthday cake, wedding cake, corporate cake, anniversary cake, cake for parties and special events. Our online cake delivery services ensure same day and midnight cake delivery in Patna. Buy and send flowers to Patna with Wish A Cupcake. We offer free home delivery of flowers in Patna. Feel free to order flowers for birthdays, flowers for weddings, corporate flowers, flowers for anniversary, flowers for parties and special events. Our online flower delivery services ensure same day and midnight flower delivery in Patna. Cakes enliven any occasion with a festive vibe. A celebration without cakes would be dull as it is a vital element directly associated with celebrations. For all your special moments and occasions order a luscious and appetizing cake from Wish A Cupcake. We have a diverse collection of regular cakes in a wide variety of designs, shapes, and flavors that are available for online delivery in Patna and other top cities of India. Present a delectable cake to your loved ones on their special day, that will surely leave them stunned. All our products are made from the finest ingredients that assure top quality of cakes. We offer eye catching and scrumptious cakes that are the best seller not only for their exquisite taste but also for their amazing looks and appearances. Choose from an extensive range of fabulous regular cakes such as chocolate truffle cakes, almond cakes, vanilla cake, Black Forest Cakes, pineapple cake, fruit cake and butterscotch cake. For our skilled bakers, each cake is a testimony to their excellence and proficiency in the craft. Online cake delivery in Patna allows you to send cakes to your close ones so that you never miss out any chance of showing your love on them. Buy cakes in Patna or any other destination of your choice and experience the best dessert treat ever. You can also order egg-less cakes at our online portal. We have cakes for all special occasions be it a wedding, birthday or anniversary, you can always find the right cakes on Wish A Cupcake. Order cakes online and arranges a midnight or same day cake delivery in Patna. We cater to more than 500+ cities across India and take exceptional care to ensure that your order is delivered to Patna on time to the location exact location of your choice. For all sort of assistance, feel free to speak to our customer care executives.